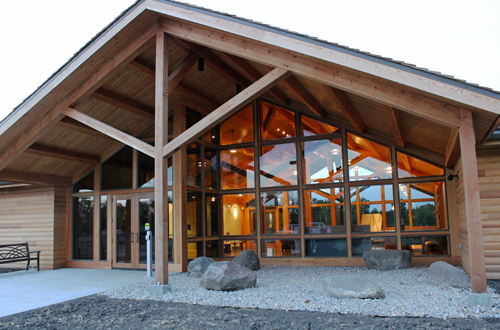 The Larson Nature Center is open to the public during the specific hours. Patrons are welcome to stop in to warm up, take a break or stay to read a book by the fire. The Nature Center also provides educational exhibits and displays, naturalist programs for all ages and drop in programs on weekends. Please call the Brookings Parks, Recreation & Forestry Department for more information. The Larson Nature Center and Dakota Nature Park are primarily for the use of programs and activities sponsored or affiliated with the Brookings Parks, Recreation & Forestry Department. The building is for rent when the schedule permits. Building rentals are available for non-profit and businesses with an emphasis placed on nature based educational-themed rentals. Rental reservations for social gatherings are not accepted, including but not limited to, weddings, birthdays, family reunions, graduations and bridal/baby showers.